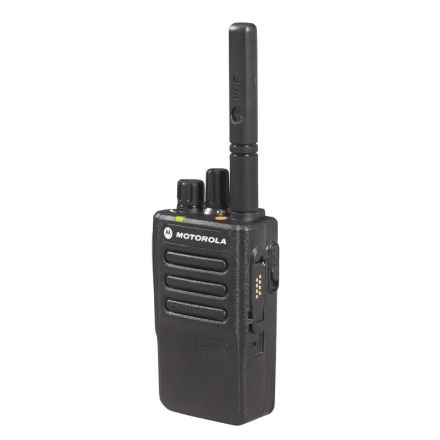 Motorola MOTOTRBO™ DP3441 Two-way Radio - ConnecTel, Inc.
Are you often on move and need to be in touch with your workforce? If this is your case MOTOTRBO™ DP3441 radio is a perfect solution for you. This small portable two-way digital radio is incredibly compact and exceptionally rugged with the latest digital technology - superb audio quality, amazing clarity, outstanding coverage, long-lasting battery life and more. The DP3441 is not afraid of dust, dirt or water—it stands up to the harshest and most inhospitable conditions with exceptional durability. This radio offers the best in digital radio technology. Empowering your workers with integrated voice and data, the DP3441 allows them to share information wirelessly and instantly between devices. Integrated GPS enables location tracking of mobile work teams, helping improve personnel safety and operational efficiency. With this DP3441 radio you will not miss out any benefits of modern technology. Moreover, it is slim and powerful. When it comes to exceptional audio quality, digital technology can’t be beaten. DP3441 portables give you digital audio performance throughout your coverage area plus unique features to help employees hear and be heard clearly, wherever they work. With Intelligent Audio, the radio volume automatically adjusts to compensate for background noise. Workers don’t have to adjust their radio volume to avoid missing a call in loud places or disturb others when they move into quiet areas. Increased background noise suppression helps filter out unwanted external sounds – from heavy equipment to crowd noise. DP3441 portable radios feature integrated Bluetooth® to share information wirelessly and instantly between devices. Now rather than waiting until the end of a shift, busy work crews can send real-time data directly to the office, saving time and enhancing decision-making. Integrated GPS enables location tracking of mobile workteams, helping improve personnel safety and operational efficiency. And if an emergency occurs, you can pinpoint security personnel and quickly despatch the nearest to the scene. Drop it, wet it, submerge it, blast it with dust and dirt. The DP3441 powers through harsh environments and inhospitable conditions so your teams have reliable communications to do their jobs, safely and efficiently – whether they’re a grounds crew on a golf course or a private security team on campus. The DP3441 is IP67-rated, and meets or exceeds U.S. Military Standard 810 C, D, E, F, & G for exceptional durability. It also undergoes the unique and gruelling Motorola Accelerated Life Testing that simulates up to five years of hard use in the most challenging environments, so you can be assured it will last. It’s easy to migrate from analogue to digital because DP3441 can operate in both modes. Programme channels in analogue or digital mode and the radio will scan both, automatically switching as necessary, so you can use your existing analogue system and move todigital when time and budget allow. Make sure your new MOTOTRBO™ system is ready when you are. We can bring together the right experts and processes to help you integrate DP3441 radios into your existing system, quickly and cost-effectively. This includes Coverage Mapping, Site Integration, Device Programming and IP Networking Services. 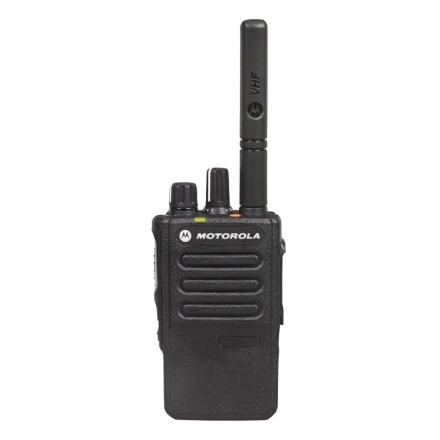 MOTOTRBO™ radios are made to last and backed by a two-year Standard Warranty, with 1-year warranty for batteries and Motorola-branded accessories. In addition, Service from the Start provides multi-year peace of mind with fast repair turnaround times, expert telephone technical support and access to the latest software releases; all backed by Motorola’s globally integrated services infrastructure, highly qualified support technicians and certified repair facilities.